This dining side chair blends contemporary and rustic styles, creating an updated and stylish piece. The seat and backrest of the chair are upholstered with cream colored fabric and accented by nailhead trim. The square legs have a clean appearance and the smokey walnut finish adds an organic to the charming chair. 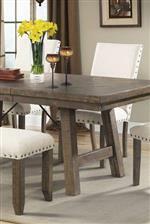 Pair with the dining table and matching dining bench to refresh your home with chic farmhouse style. 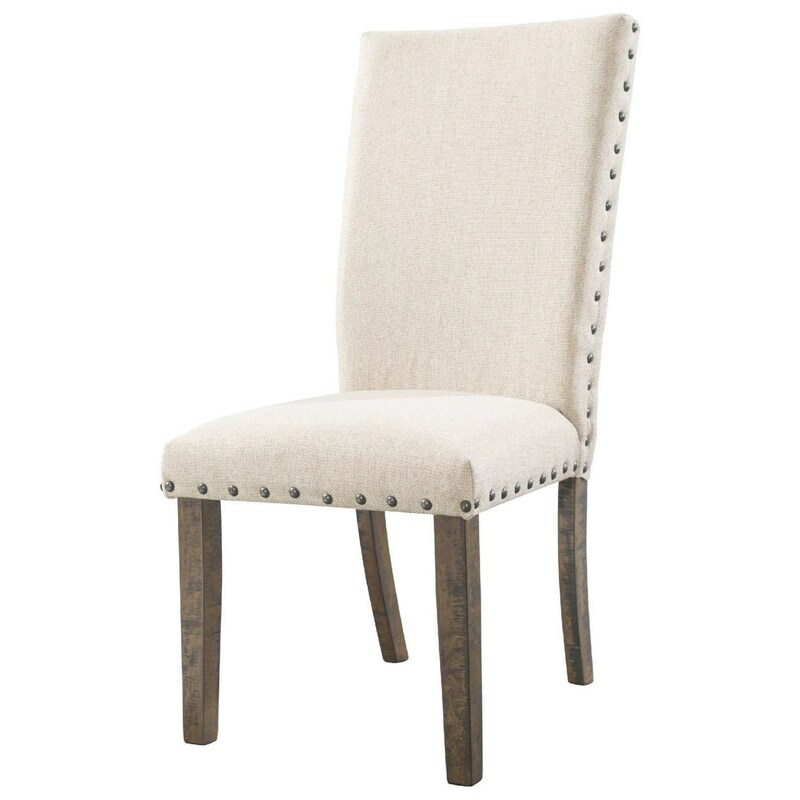 The Jax Rustic Upholstered Side Chair with Nailhead Trim by Elements International at Miskelly Furniture in the Jackson, Pearl, Madison, Ridgeland, Flowood Mississippi area. Product availability may vary. Contact us for the most current availability on this product.